This striking gemstone of Azurite Malachite will surely make you everyone's envy with its vibrant greens and electric blue. 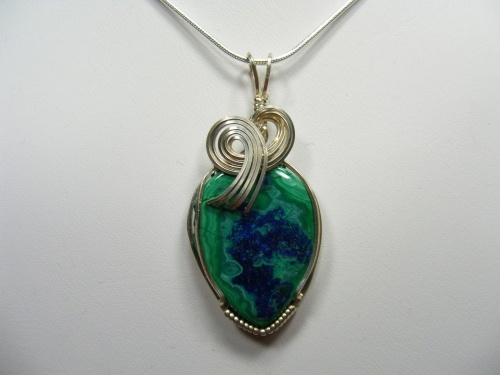 Beautifully wrapped with sterling silver curls. Piece measures 1 3/4" by 3/4" and comes with a sterling silver snake chain.